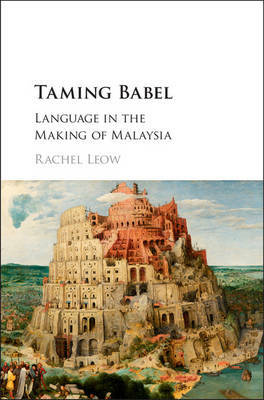 Taming Babel sheds new light on the role of language in the making of modern postcolonial Asian nations. Focusing on one of the most linguistically diverse territories in the British Empire, Rachel Leow explores the profound anxieties generated by a century of struggles to govern the polyglot subjects of British Malaya and postcolonial Malaysia. The book ranges across a series of key moments in the nineteenth and twentieth centuries, in which British and Asian actors wrought quiet battles in the realm of language: in textbooks and language classrooms; in dictionaries, grammars and orthographies; in propaganda and psychological warfare; and in the very planning of language itself. Every attempt to tame Chinese and Malay languages resulted in failures of translation, competence, and governance, exposing both the deep fragility of a monoglot state in polyglot milieux, and the essential untameable nature of languages in motion.